The DOL has announced a new web tool to help employers understand their responsibilities to report and record work-related injuries and illnesses under Occupational Safety and Health Administration regulations. 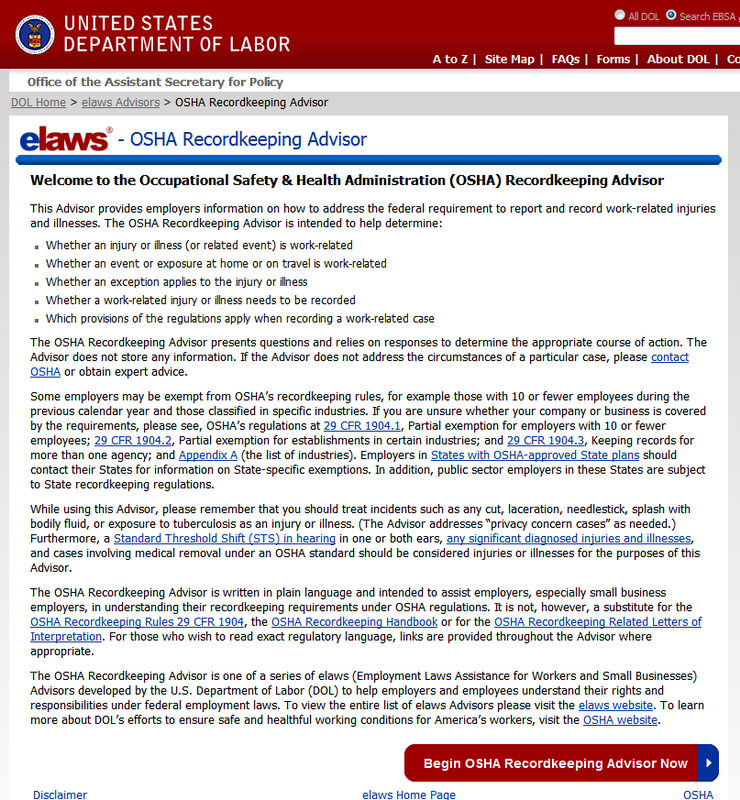 The OSHA Recordkeeping Advisor helps employers and others responsible for organizational safety and health quickly determine whether an injury or illness is work-related; whether a work-related injury or illness needs to be recorded; and which provisions of the regulations apply when recording a work-related injury or illness. To help employers in making these determinations, the OSHA Recordkeeping Advisor relies on their responses to a series of pre-set questions. The OSHA Recordkeeping Advisor is written in plain language and intended to assist employers, especially small business employers, in understanding their recordkeeping requirements under OSHA regulations. 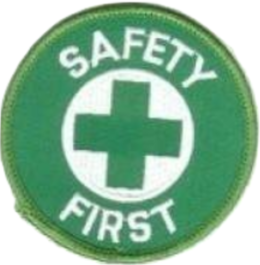 It is not, however, a substitute for the OSHA Recordkeeping Rules 29 CFR 1904, the OSHA Recordkeeping Handbook or for the OSHA Recordkeeping Related Letters of Interpretation. For those who wish to read exact regulatory language, links are provided throughout the Advisor where appropriate. The Advisor is found at http://www.dol.gov/elaws/osharecordkeeping.htm.